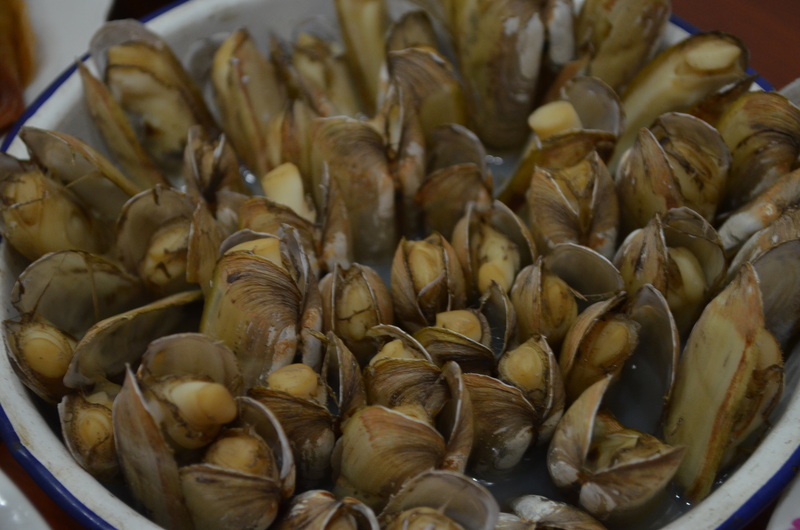 Our second home-cooked meal in Fuzhou was with my mom’s side of the family, a bit less rowdy but no less quirky. The previous day, while giving us a tour of the place, my grandpa showed us his newly installed toilet, the fancy kind that has automatic flushing functionality (and a bidet spout for spraying your nether-region), and then surprised us by hitting the bidet button, which then sprayed all of us with (clean) toilet water. So I wasn’t too surprised when, upon sitting down at the table, my grandma told me my red-and-blue plaid shirt made me look like a girl. Thanks, grandma. 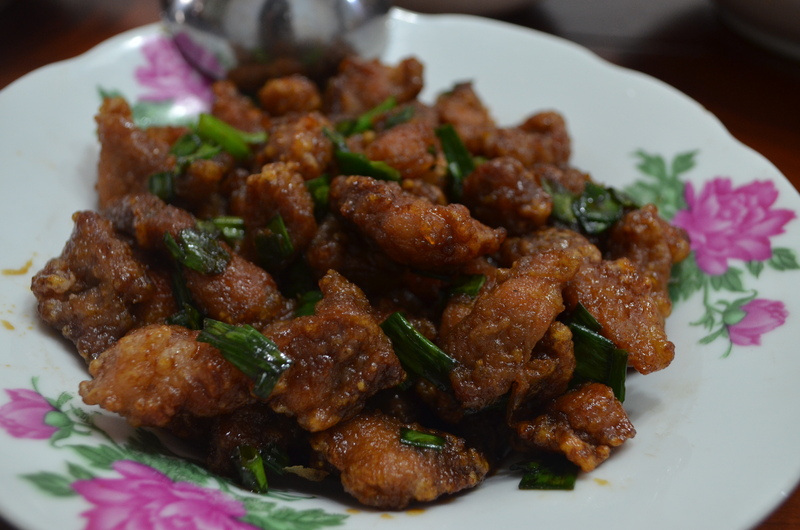 Some of the dishes were still being made, but unlike at my dad’s side, we sat down (and started eating) when most of the dishes were finished cooking. And what a spread: spring rolls (with bean sprouts), steamed razor clams, sweet & sour pork, soy-braised duck, stir-fried rice cake, and steamed crabs. 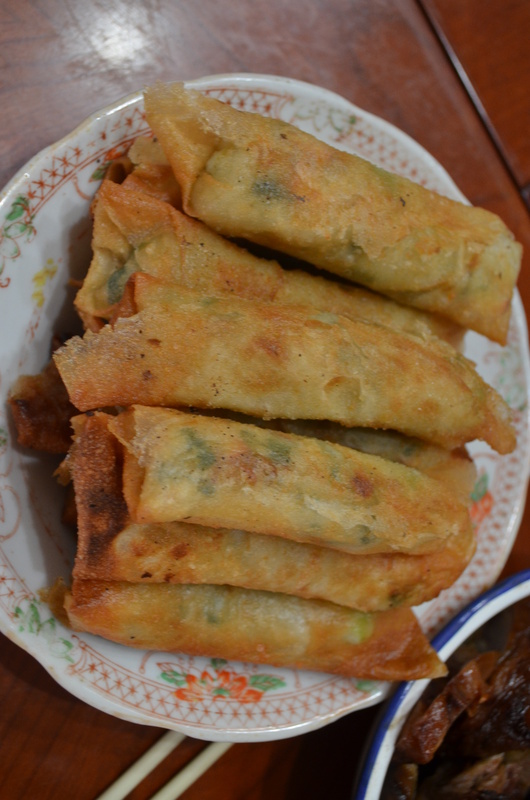 My grandparents’ spring roll recipe is a bit different from my mom’s, which uses the more common cabbage stuffing, instead of sauteed bean sprouts; equally as good, just a different texture and a juicier bite. 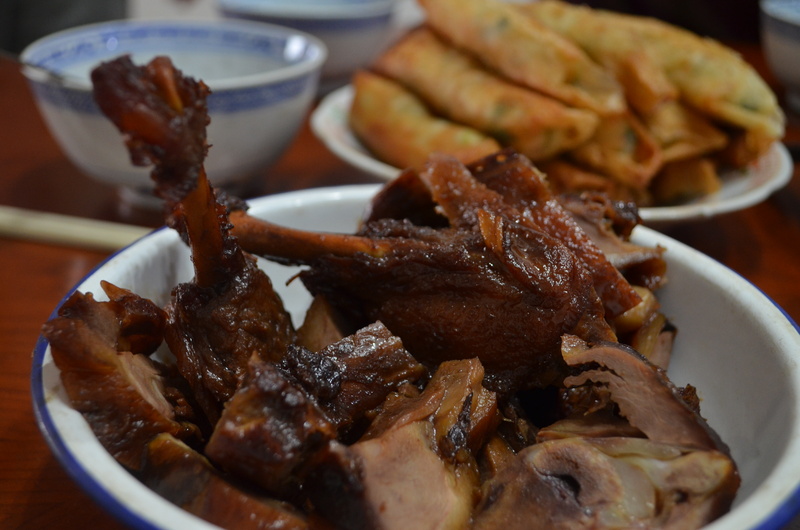 I love the braised duck because it adds so much saltiness to the meat without drying it out, much like the Peking duck seasoning. 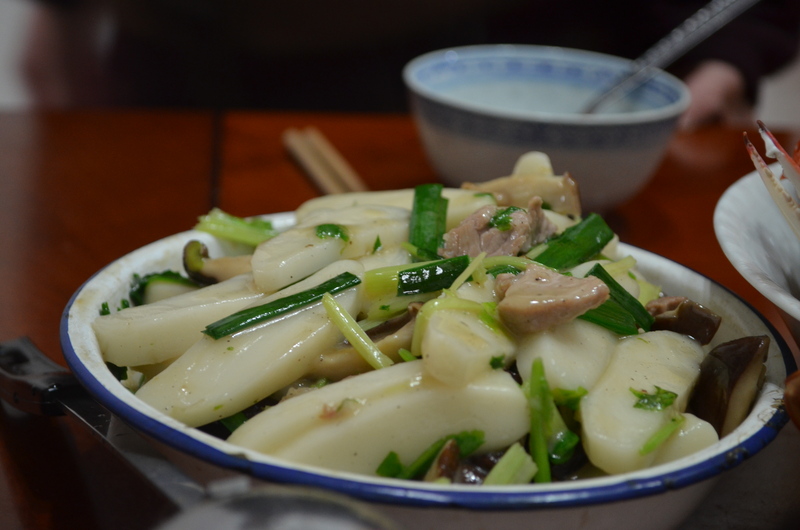 The plump razor clams, although not my favorite when steamed, are a Fuzhou favorite; it’s hard to compete with any recipe that calls for one item (e.g., razor clams) to be buried in a mound of fried garlic, as is the case at Xiao Bai Hua. 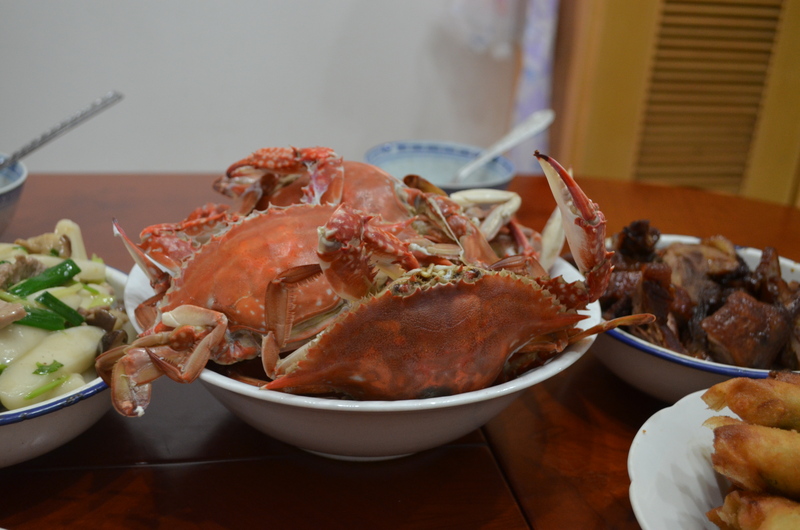 The crabs are also something I associate with holidays in Fuzhou, if only because my mom loves the stuff. 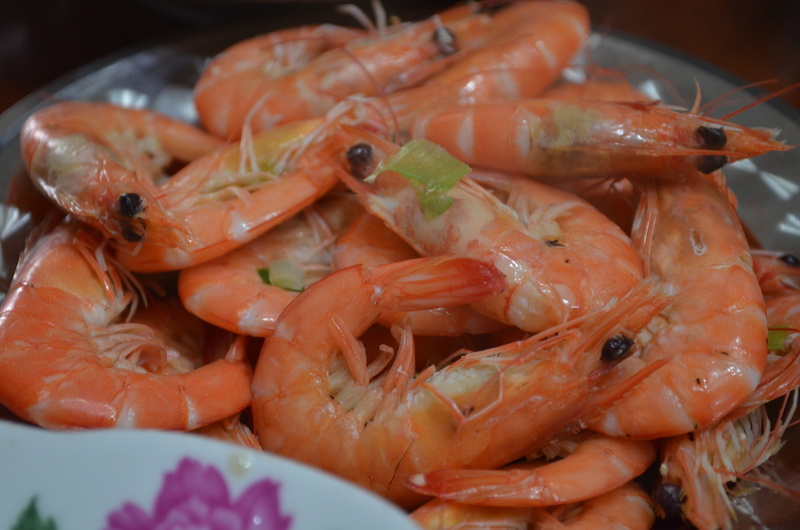 That first bite of the tangy bright orange insides and the rich white crab meat just brings me home – there’s nothing else quite like it. 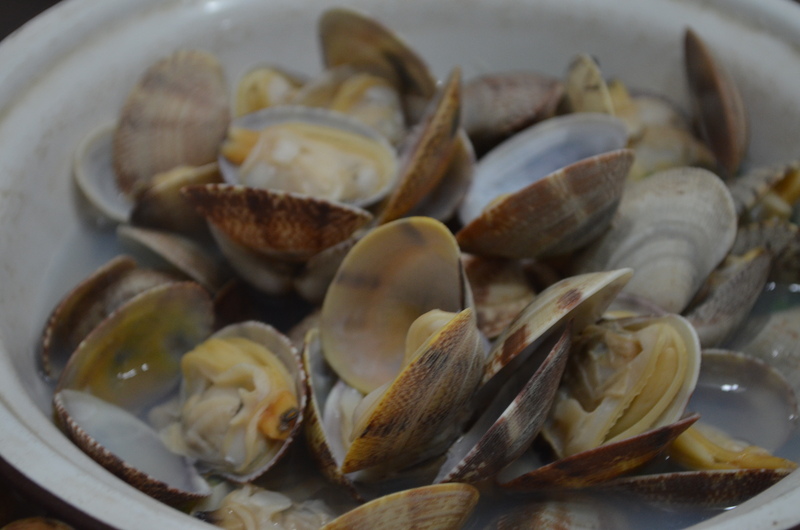 Next came shrimp, Fuzhou-style fish ball soup, steamed clams, and mashed taro. 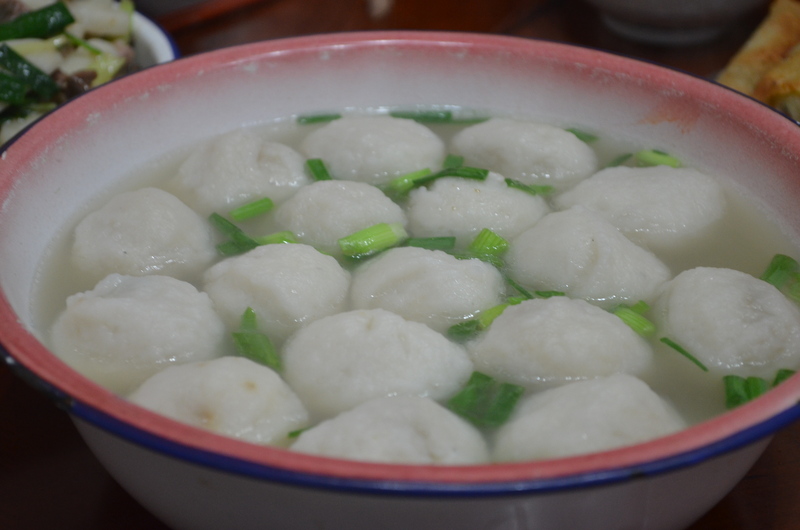 Fish balls are common everywhere in China, but only in Fuzhou are they filled with seasoned ground pork as if a soup dumpling (I also find the fish ball itself to be tastier). 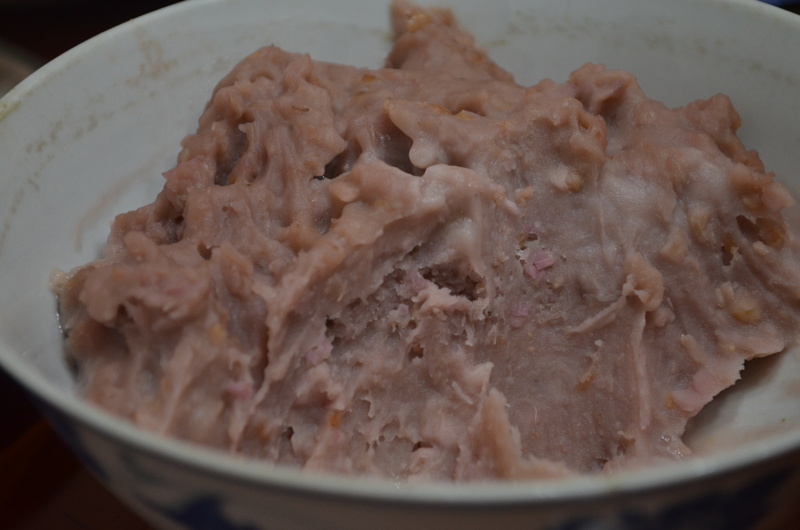 Mashed taro, although it looks a wreck, is one of my childhood favorites, similar to mashed sweet potato at American Thanksgivings, but less syrupy and more complex in flavor. McDonald’s even copped it for their taro pie desserts. We traveled here for other purposes – filial duties, so to speak, but it’s wonderful to come back to all these amazing dishes and these two home kitchens that seem frozen in time, or rather seem to serve as a portal back to simpler days of fighting over drumsticks and teasing the flaky crabmeat from its shell and taking that first tentative bite of fish ball to make sure the pork filling was just cool enough.